Sunrise Party Organiser is a team of creative and talented . We have years of experience in managing large, medium and small parties in India. We follow the unique theme for every party need and customize the services as per your needs. We have a proven ability to deliver the services as per the client expectations. We can handle small or big events of Birthday Party in Home and in Hotels, Wedding Decorations, and Corporate Events and Parties. We make open discussions with our clients to know what exactly their idea and work to fulfill their expectations. We also make our suggestions to make the event more enjoyable and guest friendly by providing various other relevant suggestions. We Sunrise Party Organiser provides excellent decoration for Birthday Party, Corporate Party in a Organised way. 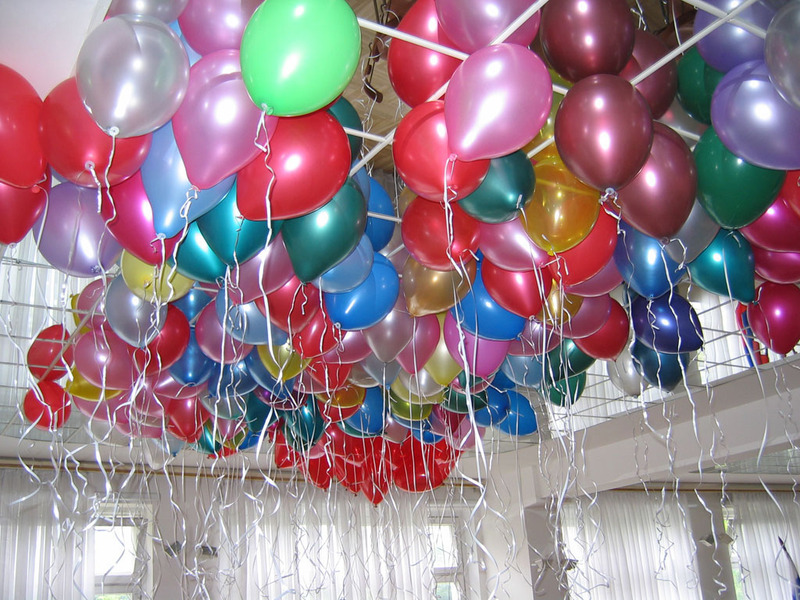 We do Gas Balloons, Activities, 2D and 3D decorations. Birthdays are always the most special occasion for a child. Kids wait for this day throughout the year. So, it is very important for their parents to make this birthday event the most memorable one in the lives of their kids. There has been a lot of change in the way of celebrating any occasion nowadays. Events like birthdays, anniversaries, parties, etc., are no longer arranged by parents or family members. They are even not restricted to their homes. Parties have taken a new look. Earlier, parents of small children spent hours thinking, how to celebrate the birthday of their kids. They decorated their homes with balloons, ribbons and streamers. Fathers bought the cake, mothers made the food. They even invited the guests personally. It was more of a personal affair. However, in recent times, a number of party organizers have cropped up throughout the city of Hyderabad. You just have to contact them and sit back to enjoy the party. They will take care of the rest. These birthday organisers offer a huge variety of party themes. Theme parties have gained a high momentum since the past few years. Some of the themes that these organisers offer are for instance, Mickey Mouse, Disney land, Barbie, Winnie the Pooh and so on. Children love to get into their favourite characters. They are those characters that keep them hooked on to the television all round the year. Children just relish dressing up like the characters of the fantasy world. Along with providing a suitable theme and decorating the area accordingly, the birthday organisers take care of the birthday cake, entertainments, gas balloons. They arrange for a cake that goes best with the theme of the party. The organisers know that your child will be delighted to cut a Mickey Mouse shaped cake in a similar kind of an outfit. A birthday organizer gives a magical touch to the parties. They organise games and activities for the kids that keep them engaged throughout. These games come with prizes for all so that all of them enjoy the party equally and no kid goes back disheartened.